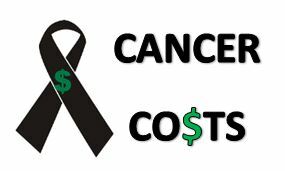 KWCH News featured a CCK patient of Dr. Nassim Nabbout, Leah Liston, in a segment on the cost of cancer. For many, this story hits home. It’s not just the journey of treatment for patients that is a struggle, it’s often the financial consequences of this disease as well. Leah has been a patient since 2008, so she knows first-hand quite well the financial burden having cancer can be for many. Having been a patient for so many years, Leah personally knows the distance our CCK staff is willing to go in order to help lessen the burden. Thankfully, she has been able to beat this disease once so going into her second round of breast cancer, she is very hopeful. We are inspired by Leah’s courage to tell her story. Dr. Shaker Dakhil, President of CCK, was also interviewed for this segment, giving insight from 36+ years of practicing as a medical oncologist. He remembers a time, long ago, when treatment was as low as $500… but now, treatments often start at $12,000, $13,000 and even $14,000. Dr. Dakhil has witnessed over many years the struggle patient’s face in the decision between paying for treatment or paying for the needs of their families such as bills, car payments, mortgages, tuition, etc. as the costs of drugs continue to rise. In response to this crisis, Dr. Dakhil realized something had to be done and in 2015 his vision to help those whose lives are affected by cancer and struggle to pay their insurance premiums came to life. Now run by an independent board of directors, the Wichita Cancer Foundation helps provide financial assistance to cancer patient’s whose care is initiated or received in Sedgwick County. This, like many foundations, is dependent on donations. Annie Hadsell, Business Office Supervisor at CCK, reminds us that one of the biggest challenges CCK faces when helping patients find financial assistance is the lack of funding for the financial assistance programs themselves. She states, “The funding for many foundations has been exhausted much sooner than past years due to the increased need for financial assistance. Once the foundations have funding restored, it is often exhausted within a matter of hours.” Having been a part of the Business Office for over a decade now, Annie has seen it all when it comes to the need for assistance during this time of patient’s lives.